This entry was posted on 16th January 2018 by dare hannah. Hello everyone - I hope you had a magical Christmas and are feeling well rested and ready for the New Year! This time of year is a great time to start a new routine of self-care, for showing your body and mind a bit of love and getting into some good healthy habits. There are a lot of colds and flus around so it can be a good idea to pay attention to immune boosting nutrients, plus your digestive system might need a bit of TLC after the excesses of Christmas. And finally if you are feeling a little low - which happens to us all! - there are a few safe and natural things you can do to boost your mood. Firstly, to ward off colds and flus, it is recommended to take a good strong dose of Vitamin D3 every day. Nutritionist Patrick Holford says: Most people in the UK and Ireland are short on vitamin D for at least six months of the year, putting them at increased risk of infections, cancer and heart disease. One study he refers to found that people with lower levels of Vitamin D were 40% more likely to get an upper respiratory tract infection than people with above average levels. Since good Vitamin D levels have also been shown to boost our mood, and strengthen our bones, in Organico it is one of the few supplements we would recommend to nearly everyone, at least all winter long. 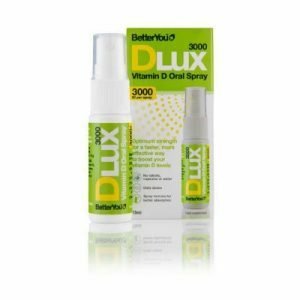 If you are interested in starting a new Vitamin D routine, we find the most reasonably priced and best absorbed Vitamin D3 is the spray by BetterYou - it comes in different strengths for different ages. We are also seeing great results this winter from the A.Vogel Elderberry and Echinacea syrup - it can be made into a soothing hot drink or taken straight off the spoon. Elderberry helps to fight viral infections while Echinacea is excellent for both warding off and reducing the severity of colds. If your chest feels at risk you can add some drops of Bronchosan (also called Ivy Thyme tincture, it is excellent for the chest - I take it if my lungs feel irritated and the feeling simply goes away). Another of my favourite home remedies to soothe a cough is a Carrageen Hot drink - check out our blog if you want the recipe. It’s incredibly easy to make and can be drunk by adults and children alike. We’re all aware of the importance of a healthy gut to our overall health but a lot of people struggle with how to regain and maintain digestive health, especially if you have had to take antibiotics this winter, or have overindulged over Christmas. In Organico we have had great responses from people adding Molkosan to their diet. Molkosan is a Swiss prebiotic drink made from whey, which you dilute and drink with water. Prebiotics are foods which help our gut bacteria to grow and flourish - they create an environment within which healthy bacteria can multiply. Molkosan also helps to counteract the uncomfortable effects of too much rich and acidic foods (coffee, wine, meat - all those nice things). I would even go so far as to say that for those of us who are pretty healthy, taking a prebiotic such as Molkosan is a better option than taking a probiotic - except for the very young, elderly or if you are on antibiotics, it now seems that increasing the foods that feed our good bacteria can be more beneficial than consuming capsules of bacteria. We also encourage people to eat Sauerkraut a few times a week, and to eat as much raw vegetables as you possibly can - it’s one thing you can never overdose on! The fibre from vegetables is essential for the health of our friendly bacteria. If you are feeling a little low at this time of year in addition to Vitamin D3 and improving gut health I would advocate focussing on boosting your Omega 3 levels. Eating oily fish two or three times a week is very important, but Patrick Holford says we should consider omega-3 supplements if we are concerned about mental and emotional health: The most comprehensive review and meta-analysis of 19 trials concluded that ‘the use of omega-3 fats is effective’ both in both in patients with major depressive disorders and milder depression. Most studies on antidepressant drugs report something like a 15% reduction in depression ratings. Three studies on omega-3s report an average reduction of 50% - and that’s without side-effects- most showing an improvement in just 3 weeks. He suggests that we should all be supplementing approximately 1000mg of EPA/DHA. And since omega-3s also benefit our heart, sharpen our brain and soften our skin, they won’t go to waste. There are huge variances in the quality and purity of fish oil supplements though so do make sure you are buying one from a high quality very pure source. Another thing I tried recently and thought was very effective was Patrick’s suggestion of taking regular doses of chromium to help boost my mood. He says that if you feel that you never can get enough sleep, often feel sleepy in the day and crave carbs and sweet foods then you might have what’s called ‘atypical depression’. Chromium, the essential mineral that helps stabilise blood sugar, has been proven to relieve atypical depression within days at a dose of 600mcg. Patrick recommends starting with mcg taken at breakfast and lunch, saying Its effects are felt within 3 days, if not within hours. We have approximately 2000 products on our online shop - and if you are looking for something that isn’t up yet just drop us a line at organicobantry@gmail.com. We are always delighted with feedback!